Breweries, Wineries, and Distilleries Surrounding the Dells! 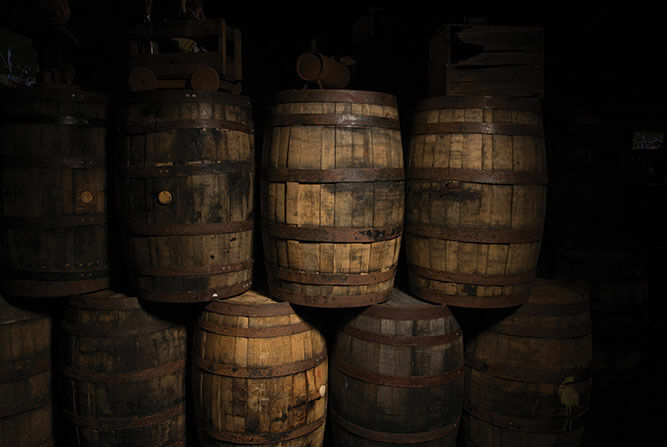 We are very fortunate to have several delicious breweries, distilleries, and wineries that surround Wisconsin Dells. Whether interested in a tour, tasting, or just wanting to learn more about these Wisconsin-made beverages, be sure to visit these area breweries, distilleries, and wineries on your next Wisconsin Dells vacation. Located on the second story of Moosejaw Pizza, Wisconsin Dells Brewing Company offers a variety of microbrews from Rustic Red to Relaxin Raspberry, Hazel’s Nut House, and more! Depending on the brew, you’re able to purchase your drink by draft, bottles, or cans. Everything is brewed right in-house and Brewmaster Jamie would be happy to give you a tour most weekdays between 11am-3pm. Port Huron Brewing Company brews and serves craft beer such as Honey Blonde, Porter, Heferweizen, Oatmeal Stout, and many more. Have a brew in their own Engine House Tap Room where you can enjoy a beer while overlooking their craft brewery. Bottles of Port Huron beer can be purchased at select locations around the state! The brewery is located just 1 mile east of Wisconsin Dells on Hwy 23. Wollersheim Winery is one of the most famous wineries in Wisconsin and is only about a half hour drive from Wisconsin Dells. Wollersheim offers dozens of different wines, including award-winners and seasonal wines. The winery provides tours, tastings, and hosts many events throughout the year. Fawn Creek Winery is located north of Wisconsin Dells off of Hwy 13 and offers complimentary wine tastings and is home to award-wining wines. On property you’ll find a retail store, and in the summertime, you can enjoy live music on the deck! 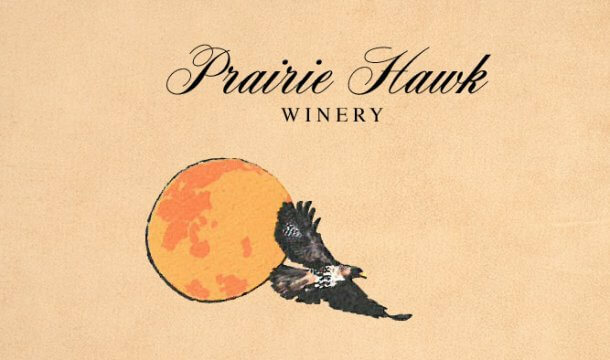 Prairie Hawk Winery is located just minutes from Wisconsin Dells on County Hwy P, and is build on an old property featuring a rustic barn house from the 1800s! This winery features a rustic charm of the past with the modern feel of today. They focus on high quality wines such as Merlot, Chardonnay, Cabernet Sauvignon, Petit Syrah, Cider, & Cranberry Mead. Stop out for a tasting! With breathtaking views of the Baraboo Bluffs, Baraboo Bluff Winery opened in 2015 and is home to red wines, white wines, and seasonal wines, with both fruity and dry tastes. Baraboo Bluff Winery features a great tasting room with a rustic theme and custom U-shaped bar. In the summertime, you can enjoy a glass of wine on the hillside overlooking the bluffs. Baraboo Bluff Winery is located just 20 minutes southeast of Wisconsin Dells. Dells Distillery is a restaurant & bar in Downtown Wisconsin Dells, and although they do not distill any liquor on property, they have their very own brand of vodka, whiskey, brandy, & rum and provide the perfect atmosphere for getting a drink after a long day! Their full menu offers unique dining selections, and they have over 9 different flavorrs of delicious tater tots! Yumm! Wollersheim Distillery opened in 2015 and offers distilled spirits such as Brandy, Absinthe, and Gin, as well as pear and apple Eau de Vie, which is a clear, colorless fruit Brandy. The property is part of Wollersheim Winery in Prairie du Sac which is a famous area winery with grapes first planted in the 1840’s. 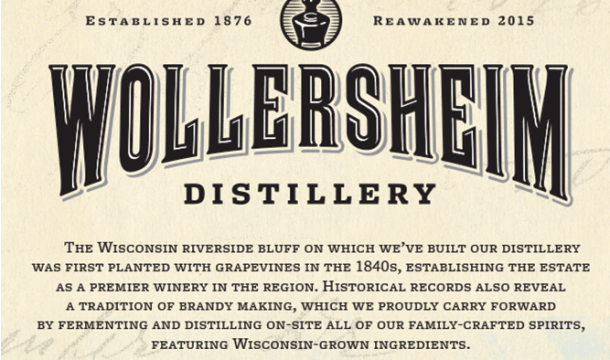 Wollersheim Distillery features monthly workshops, events, and features daily spirit tastings. 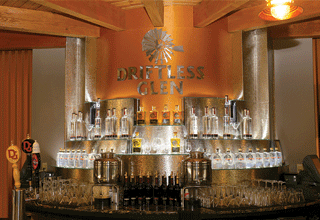 Driftless Glen Distillery is located in Baraboo and offers different Moonshines, Vodkas, Brandys, Gins, and Young Rye Spirits. Take a tour of their on-site distillery or visit their restaurant with fresh food options that feature Driftless Glen spirits, such as Brandy Glazed Salmon and Bourbon Pulled Pork Nachos! They also have many cocktails and drinks available at the bar that feature their delicious spirits!